Rumor has it that a Hawkeye show could be developed for Disney’s new streaming service, joining the likes of Scarlet Witch and Loki… But it might not be about the Hawkeye you’re expecting. MCU Cosmic is reporting that development of a Hawkeye series, which was something that they’d previously mentioned as being possible, is indeed in development at Marvel Studios. The thing is, it might not be Jeremy Renner’s Clint Barton that we see as the star of this show, but a different Hawkeye altogether. As of right now, MCU Cosmic is unsure whether or not the show will air on Disney’s streaming service or if it could be a movie. If reports of someone else taking the mantle of Hawkeye is true (as it’s been stated that some superhero mantles will be adopted by new characters following Avengers: Annihilation), then the most likely candidate is Kate Bishop. Bishop is one of the founding members of the Young Avengers team (something that Marvel has planted the seeds for with Cassie Lang’s continued presence in the Ant-Man series and next year’s Avengers: Annihilation), and as a female superhero, is a natural candidate to help usher in more representation and diversity into the growing cast of characters in the Marvel Cinematic Universe. 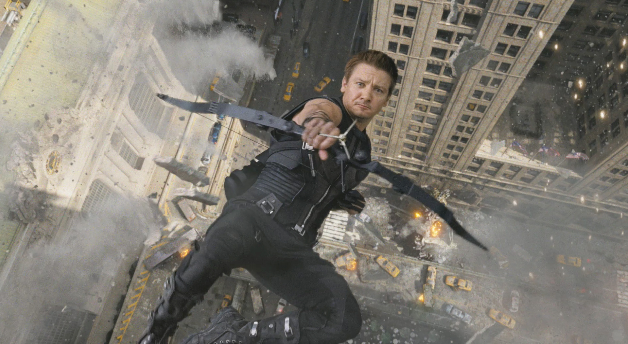 That’s not to say that we won’t see Renner return as Barton, just that he won’t be the star of the show. The rumors about the story suggest that Barton will be taking on the role of a mentor to this younger character. Renner previously made statement on his last day of filming Avengers: Annihilation (before reshoots, that is) that the film represented an end of a chapter in his movie career, but not the end of his relationship with Marvel Studios. In any case, this kind of a project and Annihilation ought to more than make up for his absence in Avengers: Infinity War.